At some point, everyone will experience emotional or mental distress. Regardless of your race, profession or socioeconomic status depression and anxiety are a normal part of life. We are not intimidated by the hard cases. At DML Psychological, we pride ourselves on forging connections, reaching previously unreachable clients that the world has given up on or has had little success with. We conduct court ordered psychological evaluations. The service includes testing and assessment as needed; individualized recommendations for treatment; and follow up sessions to discuss results. We conduct standard educational evaluations that may be used for school entrance exams, or are used to assess specific challenges that may affect school performance. We provide adolescent group therapy to address mental health needs and current concerns, focus on life skills, and vocational planning for your adolescent. We are a team of licensed psychologists based in the Detroit metropolitan area. We have a gift for connecting. We pride ourselves on reaching the difficult to reach clients and creating a renewed sense of hope for people who may have tried traditional therapy in the past with little success. It happens. You hit a lull and can't seem to recover. What started out as a "rut" has turned into a way of life. Maybe you’ve been laid off, you're suddenly an empty nester, or you simply feel you've lost that thing that makes you feel like “you”. A loss of esteem can be expected when you move, retire, grow older, or leave a world you’ve always known behind. Whether you are depressed or struggling to adjust to prolonged retirement, a transition from one life phase to another, we can help you find your way again. Our intense half day therapy session for business owners and others short on time is revolutionizing the industry. The session includes psychological consulting and coaching, guidance, tips for stress management, and a gameplay for success. We provide individual psychotherapy for both adolescents and adults to address an array of mental health concerns including anxiety, depression, situational stressors, performance anxiety, and stress management. 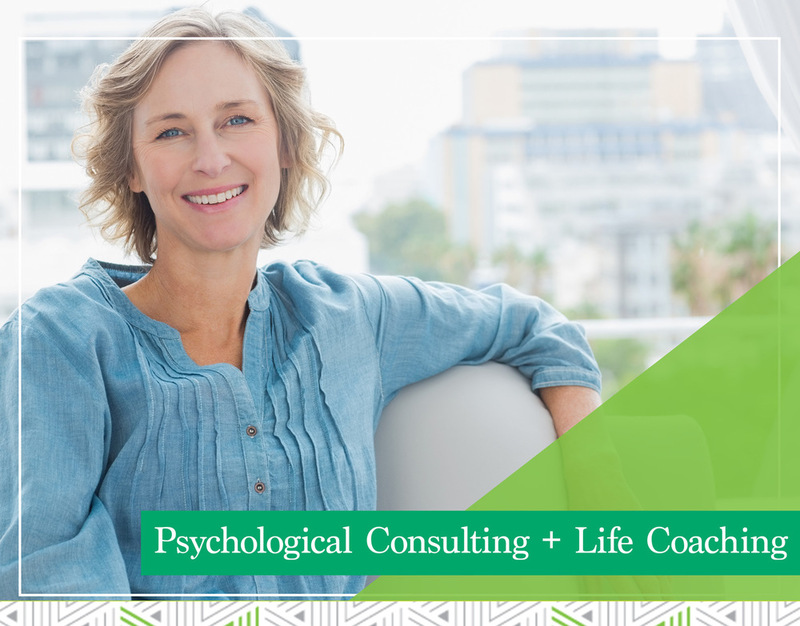 We provide action-oriented psychological consulting and life coaching for adults. We are here to assist you through difficult times, career challenges, and general life changes. We help you adjust to transitions, and help you manage your stress. A Normal Part of Life. Depression doesn’t just affect the “mentally ill,” it can affect anyone and strike at any point in life. Over your lifetime, chances are you will experience depression multiple times even if you don’t have a history of mental illness. Therefore, everyone could benefit from learning new coping mechanisms to help them deal when depression strikes.